The 6-min walk test (6MWT) is widely used in the assessment of functional exercise capacity in patients with COPD . 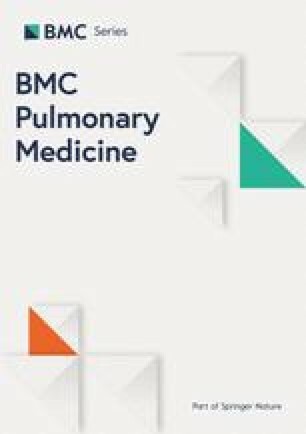 The 6-min walk distance (6MWD) gives valuable information that can be used in the clinical staging of COPD patients, as it correlates well with dyspnea, lung hyperinflation and airway obstruction . 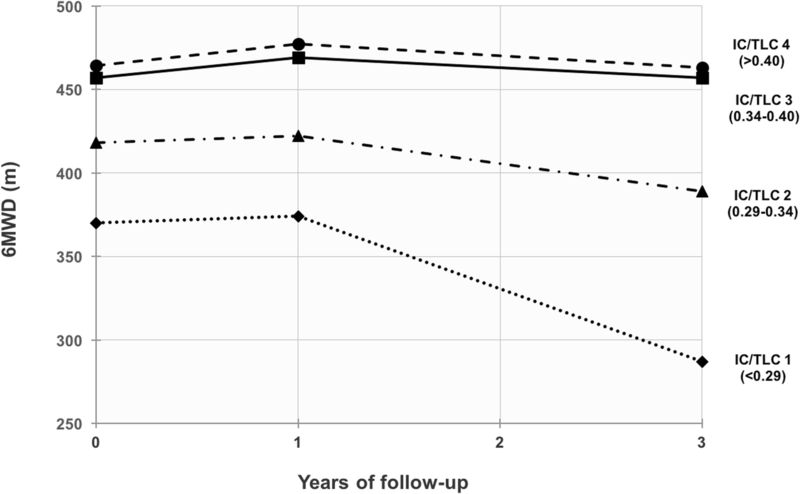 In addition, longitudinal changes in 6MWD have demonstrated to be important predictors of mortality [12, 13, 14]. However, there is limited knowledge about the effect of IC/TLC ratio on longitudinal changes in 6MWD in patients with COPD.